Welcome to Newport Beach, California--a community often found glittering in the spotlight, but one that isn't always as glamorous as we imagine. Through the lives of waiters and waitresses, divorced and single parents, and alienated teens, Victoria Patterson's Drift offers a rare and rewarding view into the real life of this nearly mythical place, all the while plumbing the depths of female friendship and what it means to be an outsider. Fresh, energetic, deceptively powerful and delightfully frank, hers is a voice you won't be able to stop reading. "Patterson’s unflinching account of the seedy side of a real-life Xanadu is frightening, immersive and wonderfully realized." "Set against the affluence of Newport Beach, Patterson’s debut collection often focuses on the enclaves’ outcasts—waitstaff, divorcées, alcoholics, and drug addicts—as her characters confront personal battles, the limits of friendship, and the bleary anticipation of a different life. Patterson’s 13 engaging tales offer keen perspectives on life lived on the fringe." "If I could write just a single story as beautiful and heartbreaking and intelligent as the thirteen linked together in Drift, I'm pretty sure that I could die a happy man. Victoria Patterson makes me envious as hell, and I applaud her for it." "Victoria Patterson has enormous talent and I suspect we'll be hearing a lot more from her." 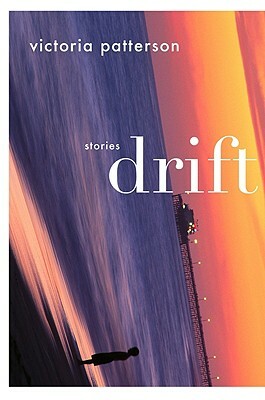 "Drift is one of the truest depictions of Southern California I've read yet. Set fifty miles south of Los Angeles, amidst the rampant materialism and manicured malls of Newport Beach, Patterson depicts characters simultaneously at odds with, and in sync with, the cultural void around them. This work is subtle, honest, and a great pleasure to read." “Victoria Patterson’s beautiful stories break our hearts as they inform us. Through her characters we see the complications and trauma of not fitting into one’s surroundings, in a version of California we are rarely allowed to see. Haunting, affirming, and often comic, her stories make the reader grateful for this writer’s documentation of our human alienation -- and our unexpected bonds. A gifted storyteller, a fresh, essential new voice." "Patterson's unflinching account of the seedy side of a real-life Xanadu is frightening, immersive, and wonderfully realized."